As a healthcare professional, you play a key role in affecting the lives of seniors each year. Finding the right care for your patient isn’t just a good business practice, it is part of the Hippocratic Oath to uphold ethical standards of care. At Generations at Regency, our patients and residents are part of our family. We share your desire to see the people you serve receive the highest quality care. Effective communication with patients and referring physicians is a core value of Generations at Regency. Our team is comprised of well-regarded healthcare professionals, and we track our clinical outcomes to ensure low readmission rates. Every Generations at Regency employee receives special training in handling the unique challenges of our senior patients and residents to ensure a great healthcare experience. 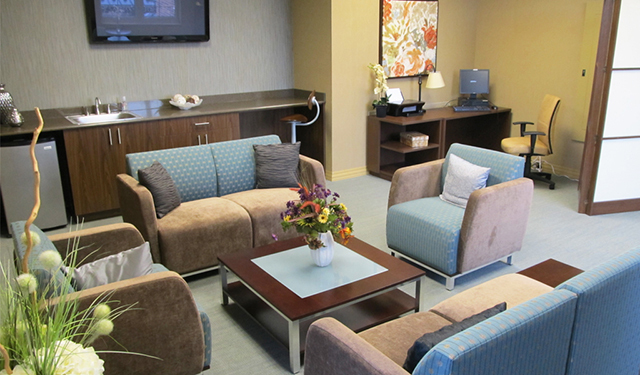 When you are visiting a patient, Generations at Regency offers a dedicated doctor’s lounge that you can use to prepare for your appointments, to utilize in-between sessions, or to complete paperwork. The lounge is equipped with a computer, printing capabilities, Wi-Fi internet connection, office furniture, and comfortable couches. Please let us know if you would like to make a referral and we will ensure that your patient gets the resources and support that they need. Generations at Regency wants to see the very best care and outcome for your patient or client. If you are considering a referral, we value and appreciate your trust, confidence, and partnership. To make a referral, please speak to our Admissions Director at 847-647-7444 or email admissions@generationsregency.com.